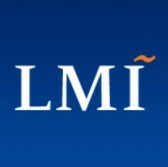 LMI has secured a position on a potential 10-year, $1.6B indefinite-delivery/indefinite-quantity contract to support the Centers for Medicare and Medicaid Services in efforts to develop, implement and align health care quality measures. The company said Wednesday it seeks to expand its presence within CMS and offer data collection and analysis services to help the agency manage patient care delivery through the Measure and Instrument Development and Support contract. LMI is among 31 contractors that are eligible to compete for measure development and maintenance task orders across six quality areas. Pat Tamburrino, Jr., vice president of LMI’s health business, said the award will drive the company’s efforts to identify new business opportunities at the Department of Health and Human Services and the federal health market overall. The company, which has supported CMS projects over the past two decades, has created an analytics service line as part of efforts to help clients collect, visualize and analyze data.